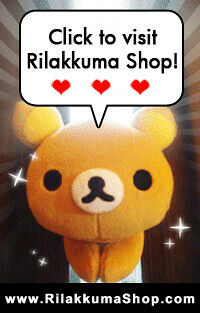 Rilakkuma Shop: Rilakkuma October Contest - Dress up your Rilakkuma for Halloween! Rilakkuma October Contest - Dress up your Rilakkuma for Halloween! Trick or Treat! Halloween is coming! Are you going to any Halloween Party? Rilakkuma wants to go too! Be sure to bring them along and take lotsa photos! But wait! Before Rilakkuma can go.. you need to dress him up! 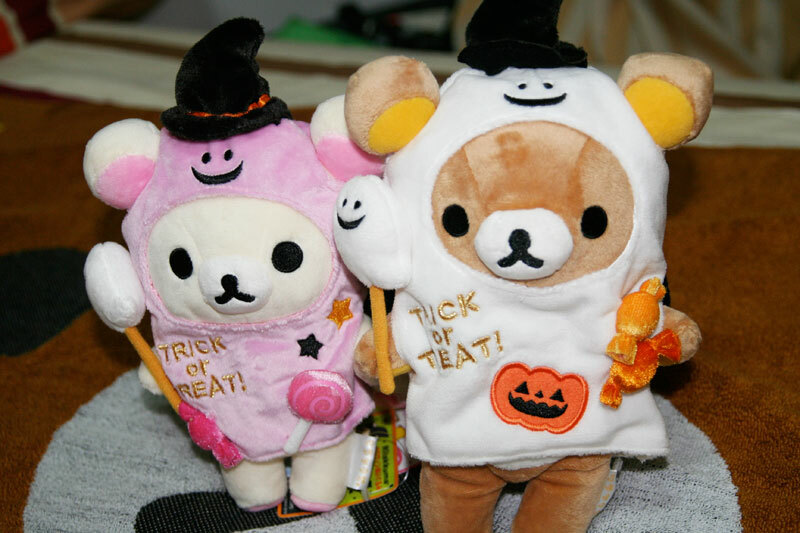 Let’s have a contest on dressing Rilakkuma for Halloween! *shipping fee is not included, contest winner are required to pay for the shipping fee. 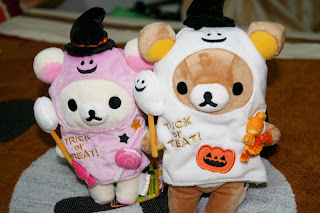 1) Dress Rilakkuma/Korilakkuma/Kiiroitori up for Halloween! You can use any material or accessories to create the Halloween costume. OR you may design by drawing and coloring your Rilakkuma costume! 2) You may submit up to 5 different costume designs. Just scan or snap and send us a clear picture of your design! 3) Only one winning entry will be selected by Rilakkuma Shop. 4) Contest ends on 17th October 2010! 1) Submit your photo to <contact.rilakkuma@gmail.com> before end of 17th October. 2) Provide us the following details – Your Name, Your Facebook Profile, Your Email. *Winner will be contacted via email/facebook and will be advise for the shipping fee. Contact us at <contact.rilakkuma@gmail.com> if you have any enquiries.